Calling all little palaeontologist’s…today we are getting crafty with dinosaurs! We have been so excited for the debut of the new Amazon Prime series Dino Dana that we decided to celebrate the show’s launch with some dinosaur themed activities. Dino Dana, which premieres on May 26th, is a follow-up to the 2015 Emmy award-winning Dino Dan: Trek’s Adventures. 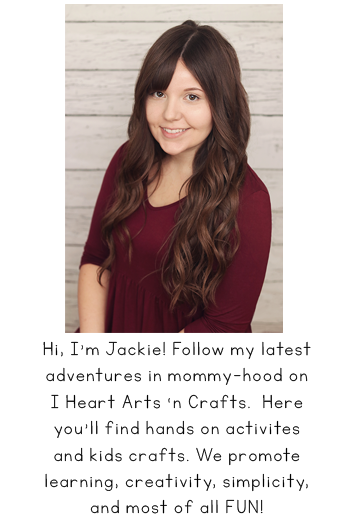 “After a chance encounter with Trek and his Dino Field Guide, Dana (Michela Luci), a “paleontologist in training,” begins to see dinosaurs all around her, leading to plenty of action and adventure. Each episode of the awe-inspiring series features illuminating facts about dinosaurs and applies them to kid-relatable experiences. 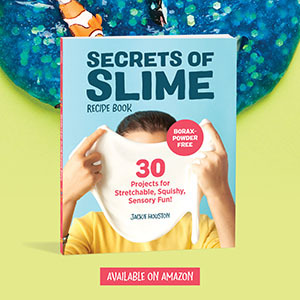 Created by J.J. Johnson (Dino Dan,Annedroids), the series is executive produced by Sinking Ship partners Johnson, Blair Powers and Christin Simms with animation executive produced by Matthew J.R. Bishop. Celebrate with us by checking out these fun dinosaur activities! 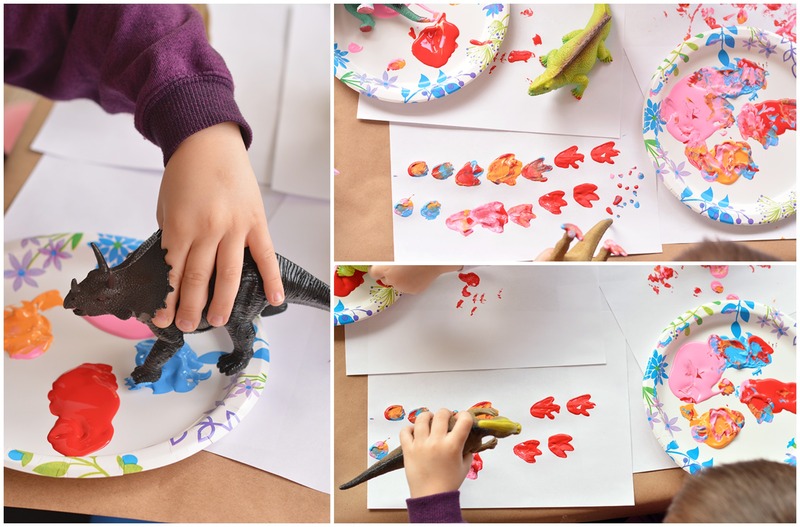 The first craft is a process art activity called Dinosaur Stomp Painting, the setup for this is so simple and the kids love it, plus it works well with any age! When I’m doing any kind of activity like this I usually just roll out a sheet of butcher paper and cover the entire area. You can tape down the butcher paper under the ends of the table and lay down sheets of paper. Then take some paper plates and some washable tempura paint and squirt different colors onto the plate. Then they can grab their dinosaurs and start stomping! The kids experimented with stomping, sliding, and using different features of the dinosaurs to create different tracks on the paper. This can be also great for counting different foot steps, color mixing, and guessing which footprint belongs to which dinosaur. 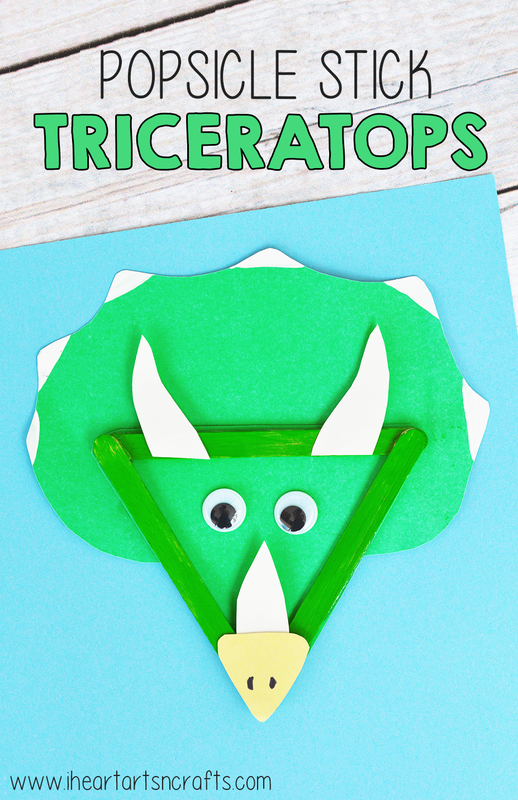 The next craft is with one of our favorite dinosaurs, the Triceratops. 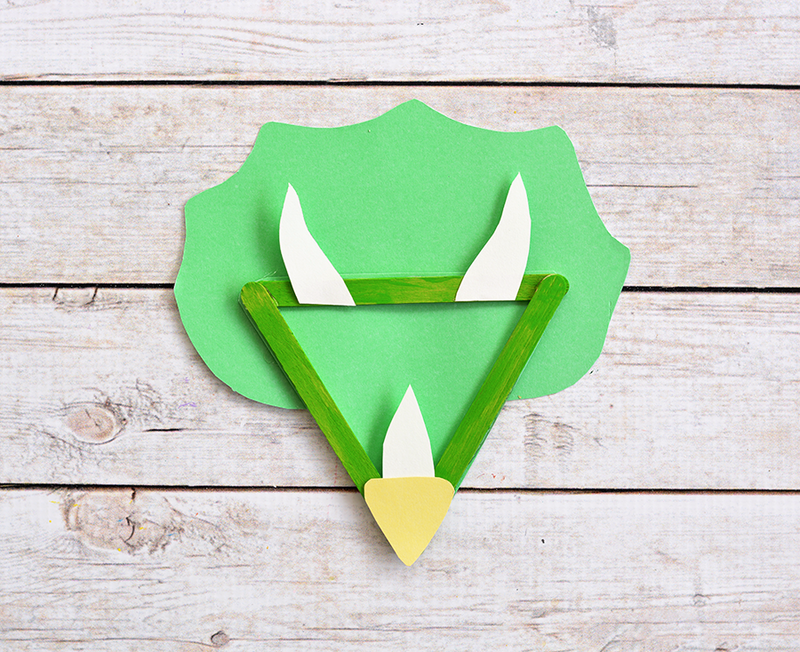 Create a triceratops using popsicle sticks! 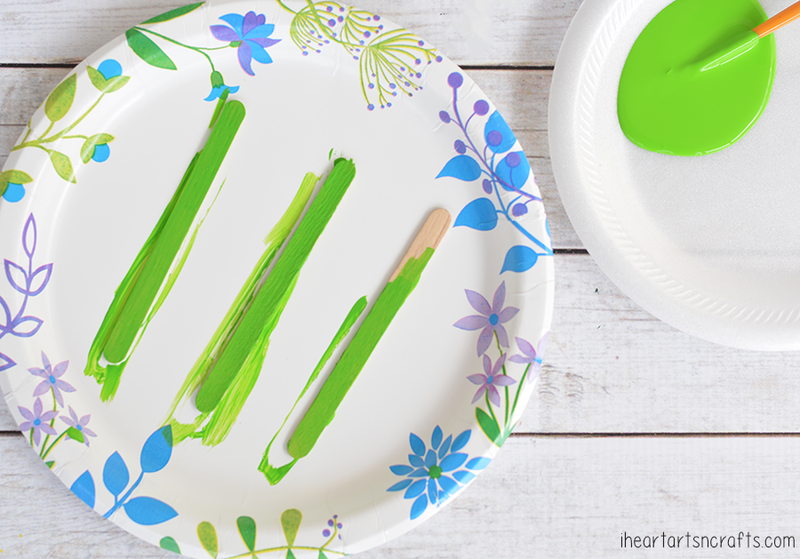 First you’ll begin by painting three popsicle sticks green. They do sell already colored popsicles sticks so you can use those too and skip this step. 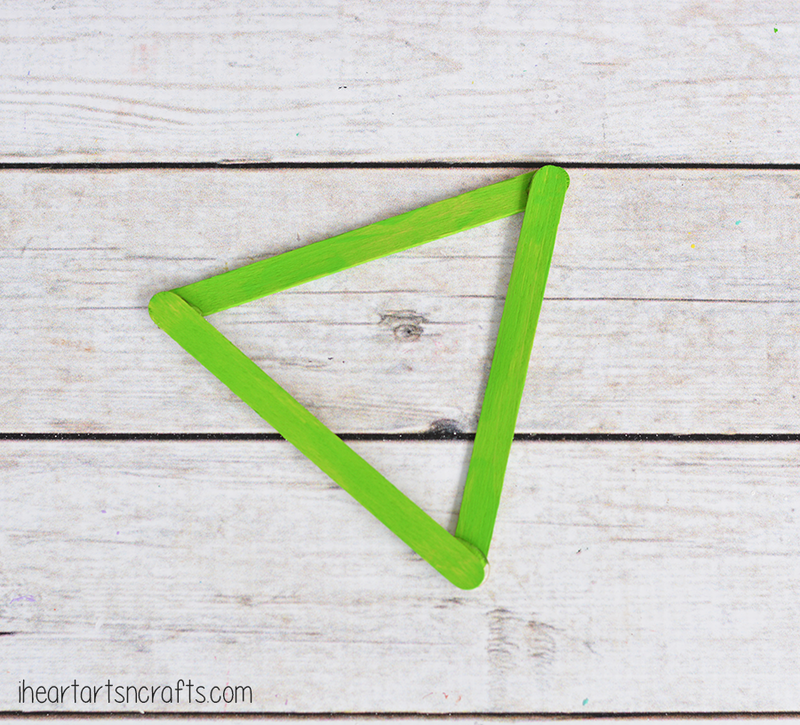 Then glue your popsicle sticks into a triangle. 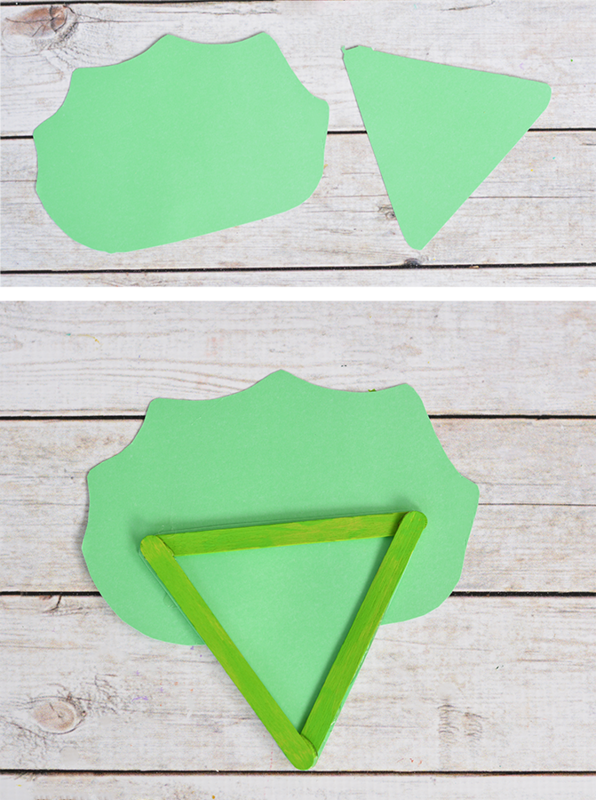 Next, we took green card stock paper and you’ll cut out the shapes below including a triangle and then a piece for the bony frill. And then glue those to your popsicle triangle. Of course, your triceratops will need horns so you’ll cut three horns out of white cardstock and then we used a small yellow piece for the nose, and glue on like so. To finish off your dinosaur you’ll add in some googly eyes and you can paint some white tips on the bony frill for the small horns on top of there.